Hungry? 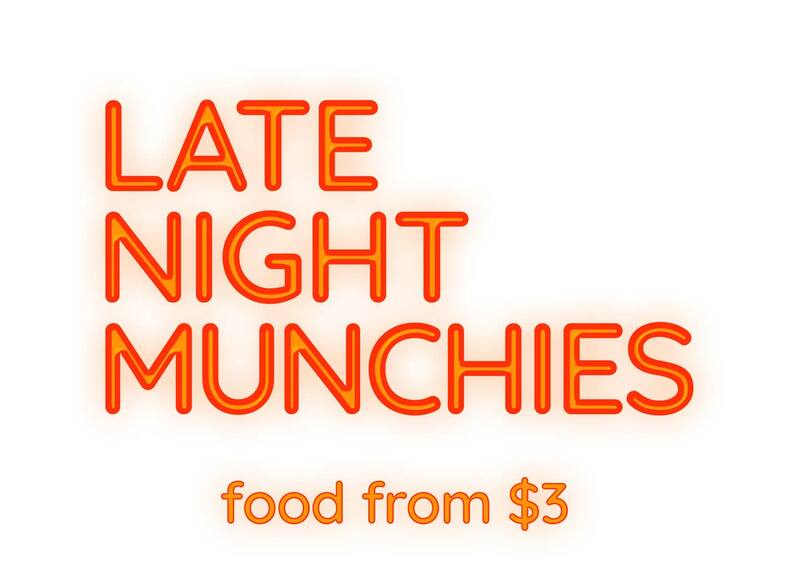 Try our easy-to-inhale late night ‘recreational’ snacks. One taste and your hunger pangs will go up in a puff of smoke. Happy? It’s a joint effort… Justin time. 9pm till late, every night (except Thursday’s Lodge Night, because quite frankly, Thursday has its own night of smokin’ specials).